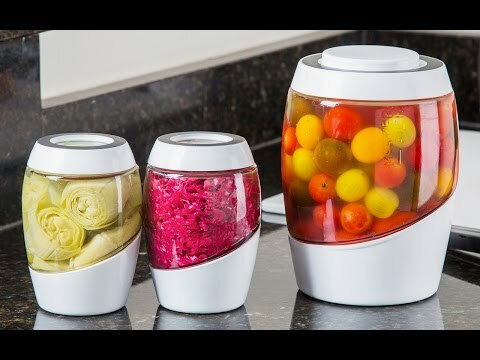 This is the first-ever fermentation crock designed specifically for kombucha brewing. 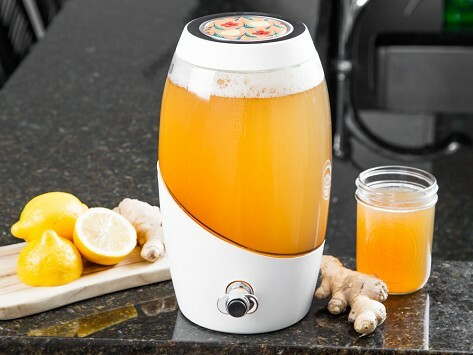 It comes complete with its own filter and tap valve and allows you to brew and store your own kombucha at home. The rewritable label at the top of the crock makes it easy to identify each batch, while the booklet provides plenty of delicious recipes. Dimensions: 6.93" x 6.93" x 11.76"
Fabulous product. Delighted with it. Note: the SCOBY (symbiotic colony of bacterial yeasts) needed to make Kombucha is not included. Got it as a gift for my mom, she loves it! I bought this because I wanted to start doing kombucha myself and so far has worked perfectly, great product!